Same* Day Delivery for Metro Area: NSW, VIC, QLD, WA. There are different type of wireless solution on the market, please make sure you know which type of wireless it offers before buying. There is a lot of confusion concerning wireless technology, many vendor state their product is wireless capable, but in fact NOT all of them can do the wireless smoothly as you would have expected. So, please choose carefully. Most brand can transmit document, pdf, powerpoint, word, excel spreadsheet, picture (jpg, bmp, png). Only 1 or 2 brand can as well transmit video wirelessly and smoothly. Some allows you to JOIN existing network and use WIFI internet. Most brand require installing an app (in Apple or Android device). Some even have desktop application for PC and Mac. 1) What type of wireless is it? 2) What type of file it can transmit wirelessly, documents, image or video? 4) Does it require a private network to do wireless? 5) Can it join existing network to do wireless? Below guide will help you find the right wireless type that your projector need. USB adapter is the most common type of wireless. Some projector included the USB adapter, some need it to be bought separately. Only each brand’s own approved USB wireless adapter will work with its own brand of projector. This type of wireless only work if the projector specifically state that its wireless capable or optional wirelessly capable. E.g Benq and Optoma allows you to transmit photo, document and video, on top of them, a projector screen can be split into 4 pieces. 4 users can use the same screen and share images at the same time. Beside this, if your handheld device have a camera, you can also use it as a document camera. MHL wireless adapter is a new type of wireless adapter that just released recently. If your projector is MHL compatible, you can use this type of MHL wireless adapter. It is to be plug in to the hdmi / mhl port in your projector, MHL port will power the adapter by itself without additional powering. To use it simply download the app for the relevant adapter. Chromecast is very good for watchig NetFlix or Youtube. Chromecast is to be installed in the HDMI port in the projector. To use it, user download Chromecast app from Apple or Android store. After initial setup, cast button will be added to app such as Youtube or Netflix. With a click of the cast button, your favorite video or movies will be shown on the projector. Your android or apple device act like a remote control, you select the favorite link on YouTube and click on the cast button, Chromecast will stream the video directly into your projector. Advantage is that it consume minimal resource of your handheld device as it only act as a "remote control'. 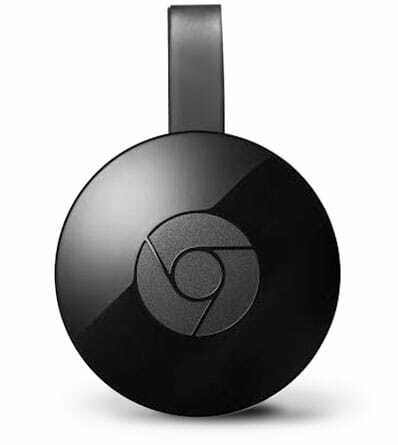 Chromecast is the device which will download content to display. It free up the resources on your Handheld device, so you can still do something else with your handheld device while Chromecast is playing. With installation of app such as Realplayer or Plex, at this moment, you can use Chromcast to "cast" video or web page from your handheld, however, result may not be as desirable. If you wish to transmit a picture or document or video from your handheld device, please use USB or HDMI/MHL wireless adapter instead. Only laptop with certain Intel processing chip will have WIDI built in, it allows user to stream video, document and picture wirelessly. Please check with your laptop manufacturer to see if your laptop is WIDI capable. MHL allows you to mirror the screen of your device to the projector via a MHL cable. This is only available to mhl-enable projector and android device with mhl functionality. Apple phone can also direcly display to projector via a lighting to hdmi adapter as long as the phone can output a signal and can be accepted by the projector through HDMI.